If (like me) you are both an avid reader and deeply concerned about the west’s political future, then you will be experiencing bitter-sweet feelings nowadays. Our system of liberal democracy is indeed in a profound crisis. But there is no shortage of excellent books to help you understand why. Rather than provide a list of conventional titles from Washington about the pathologies of Donald Trump’s administration, or the failings of this or that campaign, these books provide a larger backdrop of why such a man could have gotten near the world’s most powerful job in the first place—as well as the disruptions we are witnessing in other western democracies, like the UK. Even if 77,000 votes had gone the other way in three midwestern states, and Hillary Clinton were now president, I would proselytize these titles with the same vigor. Trump is not the cause, but a symptom, of the west’s democratic crisis. Those of us who cherish liberal democracy must understand why in order to defeat him. In 1750, China and India accounted for almost three quarters of the world’s manufactured products. By 1914, on the eve of World War I, that share had fallen to 7.5 per cent. Economic historians called it the Age of Divergence. We are now in an Age of Convergence where the rest is catching up with the west. We are probably only about a third of the way through it. 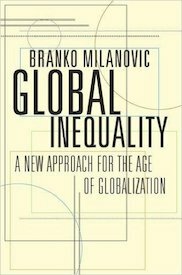 Barrington Moore once said: “No bourgeois, no democracy.” If you add to the Age of Convergence the impact of technological change on the future of work, you will grasp the scale of the crisis facing the west’s middle class—and to our political way of life. Many American readers will already be familiar with J.D. Vance’s Hillbilly Elegy. 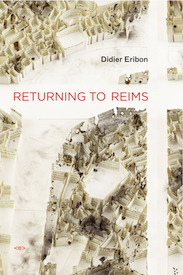 Eribon’s book is the French version—and it is written just as compellingly. It explains in searing personal detail how the French post-industrial working classes left the left, as it were, and began to embrace modern fascism. Eribon, who is gay, and left home for Paris very young, believed (wrongly as it turns out) that he had been rejected by his father because of his sexuality. This book is both a deep rebuke to Marine Le Pen’s neo-fascist solution to France’s problems and a heartbreaking elegy to those, such as Eribon’s late father, who believe they have been washed up on the shores of history. One of the west’s great failings is that our elites tend to believe they deserve everything they have. Through personal anecdote and unimpeachable data, Cornell’s Robert Frank explains why the wealthiest owe a great deal of their good fortune to chance. The book has the advantage of being both true and short. 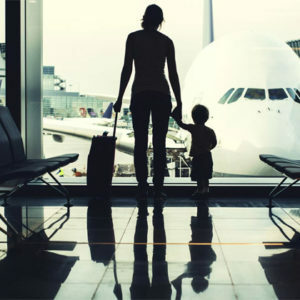 We live in an age of “hereditary meritocracy,” in which the most fortunate are able to reproduce the same advantages for all but their least talented children. Unless the elites understand the role of luck in their success, there is precious little chance they will become part of the solution. Having worked in Putin’s Moscow for many years, Pomerantsev has written the best book yet on the dark arts of what Russians call “political technologists”—those whose job it is to manipulate public sentiment to tighten their own grip on power and for personal enrichment. 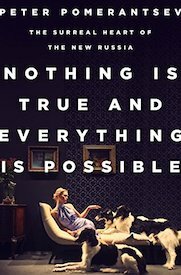 Long before the term “fake news,” “alt-right” and even “post-truth” gained currency in the west, Putin’s team of technologists were deploying the tools of reality television and psychological warfare to shore up their grip on Russia. Key figures in the Trump campaign, such as Steve Bannon, did not invent such methods. They learned them from Russia. This is an exceptionally well written and insightful book about a phenomenon we still only sketchily understand. Donald Trump campaigned on the promise to restore jobs to the coal miners and steel workers of middle America. It will never happen. In promising a form of authoritarian nostalgia, Trump willfully overlooked the reality of creating viable jobs for the future. There are just 77,000 steel workers left in the US and 84,000 coal miners. Yet already since Trump was elected, almost 100,000 retail employees have lost their jobs. There are 15 million Americans employed in the retail sector. There are more than 10 million Americans employed behind the wheel. 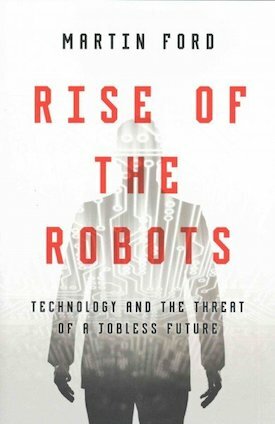 Ford’s book sets out very clearly what is going to happen to our jobs market. If Trump were a reading man, this is the one title he should memorize. Ed Luce’s The Retreat of Western Liberalism is available now from Grove Atlantic. Wallace Shawn: How Should a Person Be?